In addition, a second experimental site (PW1) was deployed and studied in north Baynes Sound and, although not as successful in kelp production, it was useful in improving knowledge of herbivore interactions; i.e., kelp crab grazing at this site, with kelp restoration research efforts. 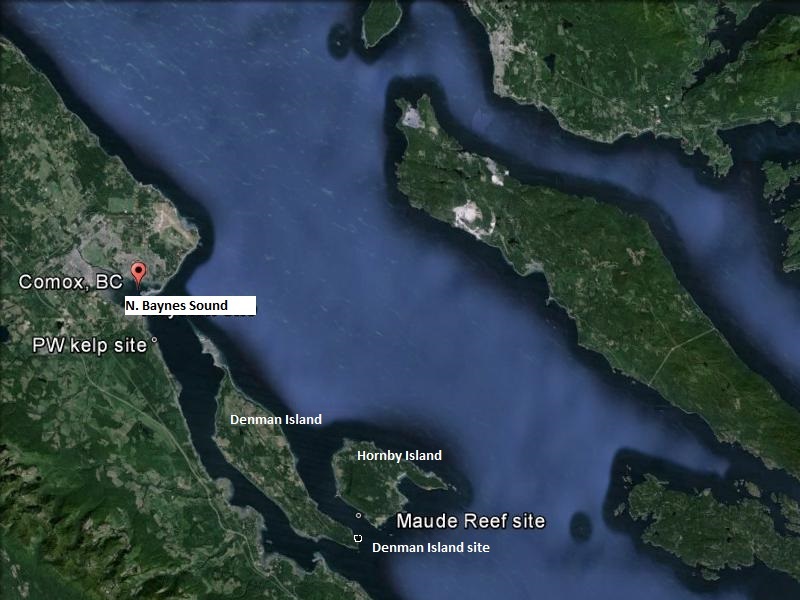 A small natural kelp bed at south Denman Island was also sampled as a reference site. The project was conducted during one of the warmest spring and summer periods ever recorded locally and provided an opportunity to study the effects of temperature stress and herbivore grazing as limitations to bull kelp distribution in an important area of the Salish Sea. Young Bull kelp plants on a grow-line at Maude Reef in April 2015. A major outcome of the work was that our significant database (from 2012 -2015) was diversified and expanded on kelp performance at several study sites under varying conditions, including those of temperature, light intensity, salinity, pH, turbidity and chlorophyll, and under grazing pressure from various herbivore species (red and green sea urchins, marine snails, kelp crabs). 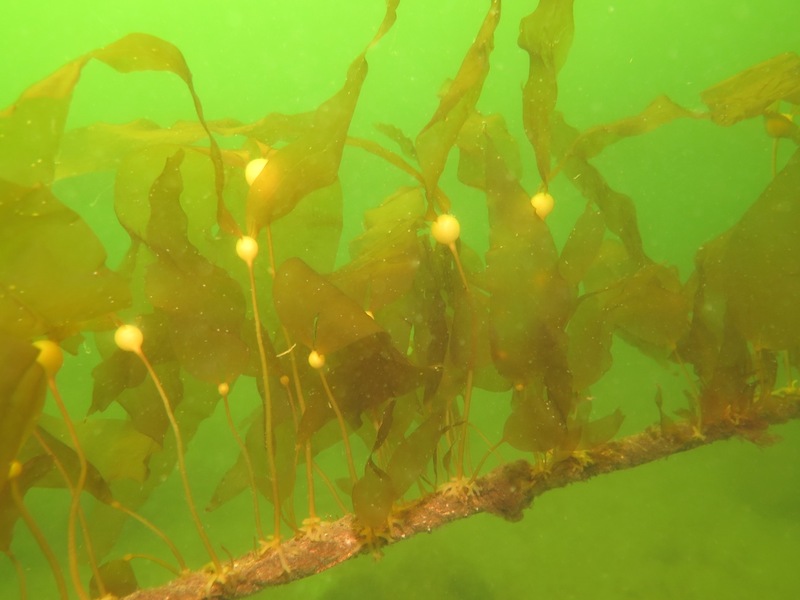 In 2016, we are comparing the performance of Bull kelp arising from stocks at Campbell River and Sansum Narrows at the sites to assess warm water adaptation. 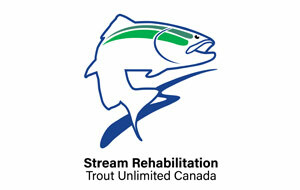 A more detailed description of the project can be found on the NCES kelp project webpage.